When you think of the term retro you tend to think of 1950’s style dresses, baking goddesses and the essence of pin up, but something “retro” that is getting another spin lately is actually the fashion, trends and icons of the 90’s – my favourite era (the one I was born in, and the one that made the best television shows!). While everyone is copying the clean fresh-faced make up looks that dominated Hollywood, I am more interested in the popular trends of parties in the 90’s – such as the fairy bread and the streamers hanging long and sporadic in the middle of the dance floor. 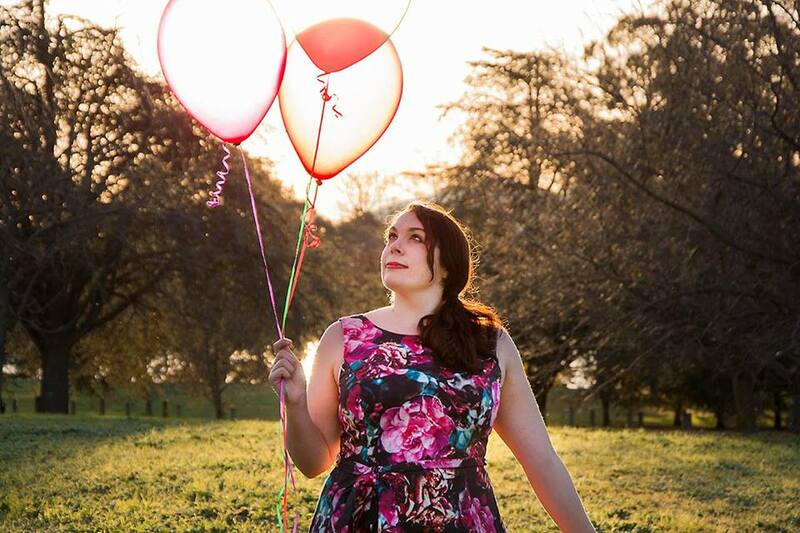 Now I hear mothers of young children saying, “When did streamers and fairy bread go out of fashion?” Well the new party trend is bringing streamers back, but using them in new, interesting, colourful and whimsical ways. Here are four different ways you can use that $2.00 packet of streamers you bought from the supermarket to turn even an adult party streamer-licious! 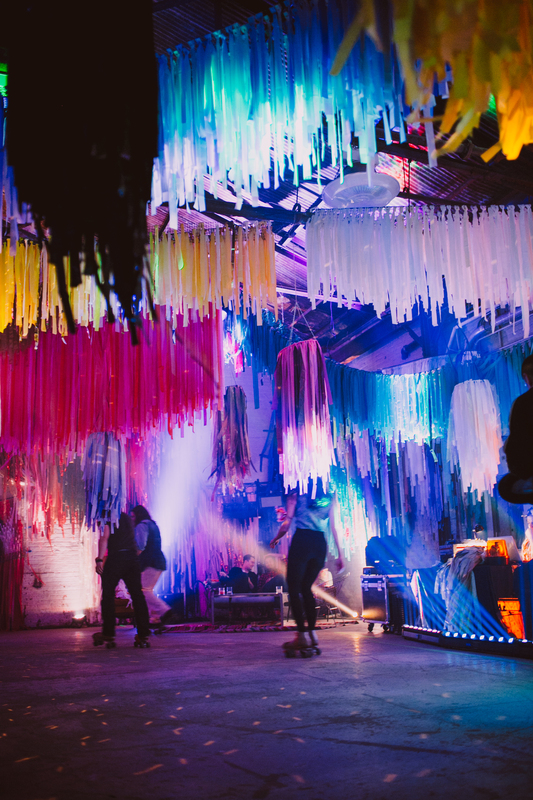 The Color Condition has made streamers their business by creating amazingly bright, retro-grunge streamer installations that create the ultimate party atmosphere in an instant. Hanging hundreds of colourful streamers from strings, netting, tablecloths, curtains and drop cloths, these decorative displays give the feeling of bringing your party decorations to life. Observing the moods and the weather, these displays create a new image with every breeze and pack a powerful punch on the 90’s party trend. Fringing is a popular decoration element that has sprung up in the party scene recently and it can be used in a variety of different themes and events. Hanging a fringe bunch from bakers twine or string can create instant DIY bunting or backdrop, and even using the fringing elements to cover more solid items like lanterns, tablecloths or glassware can utilise the idea of streamer decorations in a new way. Check out my DIY Tutorial on how to make your very own DIY Fringe Glassware to incorporate it into your event. I heard of this amazing idea through the blog Lovely Indeed, and thought it was a great way to utilse two current trends: streamers and photo booths! It’s a simple and easy design that won’t take long to prepare and looks absolutely fabulous. 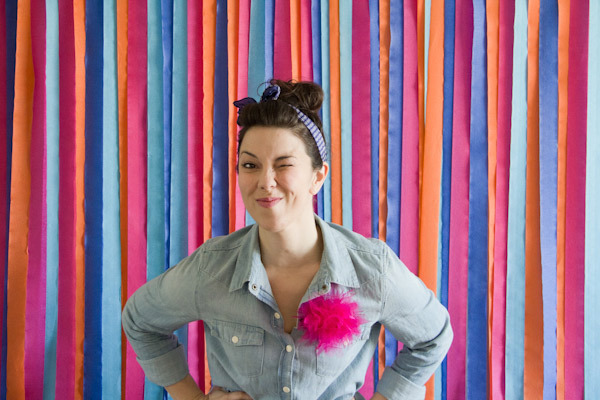 Check out the DIY Streamer Photobooth, not to mention the rest of Lovely Indeed’s DIY Backdrops, on her website now! These decorations have become extremely popular lately and they go hand in hand with the idea of streamer installations. 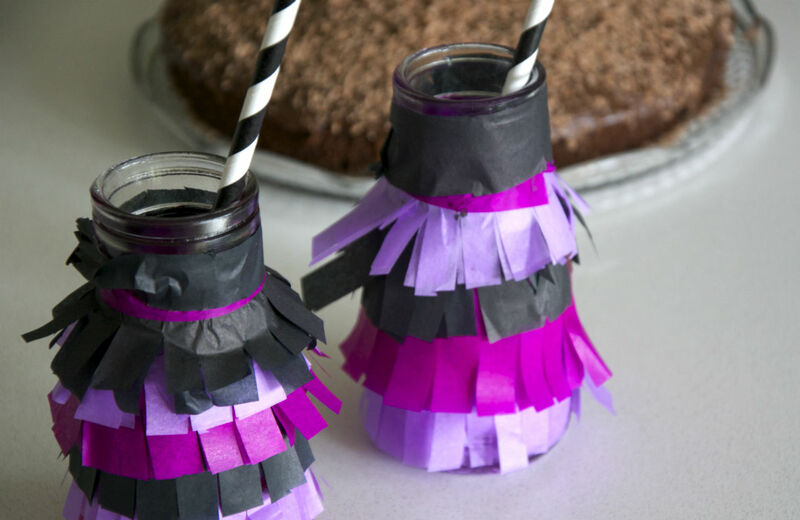 Basically you make the crepe paper tassels by cutting the streamers into long strip fringing like you would with the DIY Tassel jars, but roll the uncut strip at the top together to create a pom pom effect. Make heaps of them and then tie then with sticky tape or even staples to a strong balloon string or a long string to make tasseled bunting. Beautiful! 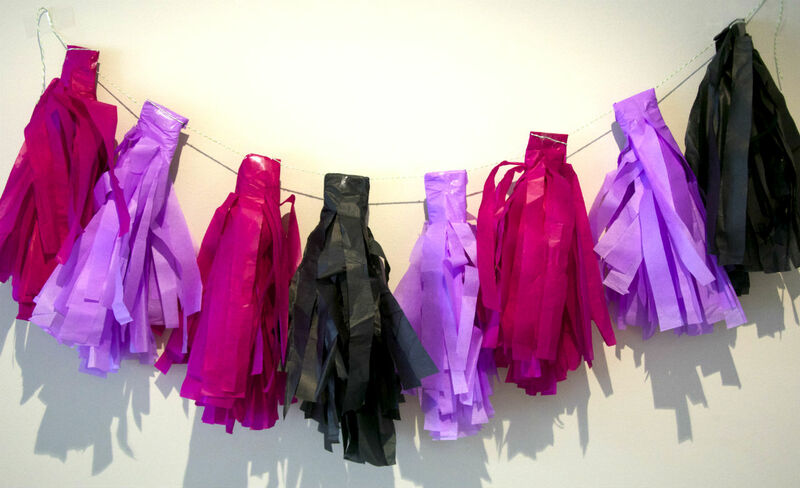 So there you have it, four ways you can inject cool into your party or event using streamers! It proves that using classic items in new, fun and creative ways can really take a party from the 90’s to the now! If you use any of these ideas, I want to see them! Email me at thepartyconnection@hotmail.com or leave photos in the comments below! Stay tuned for some new and exciting trending items coming soon! I love that streamers are making a come back! I’m actually planning on using streamers to make a backdrop for an upcoming project so I’ll make sure to check out that link you shared. Thank you!